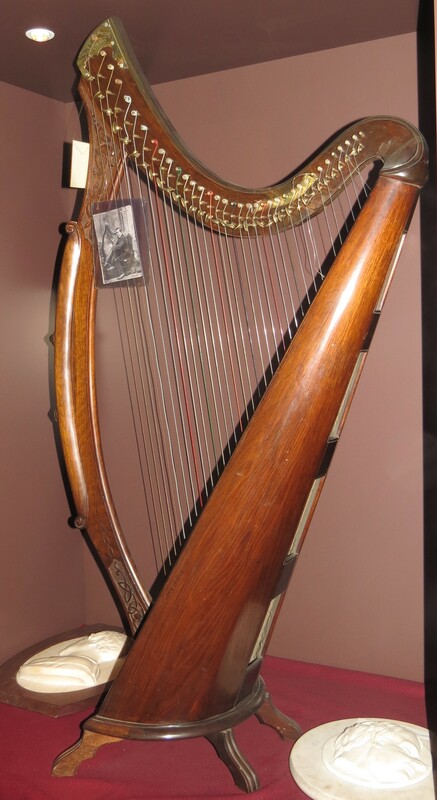 An old Irish harp decorated with Celtic interlacing is one of the most striking objects in the Museum. The harp was donated by college servant, John Flood. There are two inscriptions on the harp, the first of which reads: ‘Made in Ireland, The Tara, No. 10’. The second inscription reads: ‘James McFall, Maker Reviver of the Irish Harp, – 22 York Lane, Belfast’. 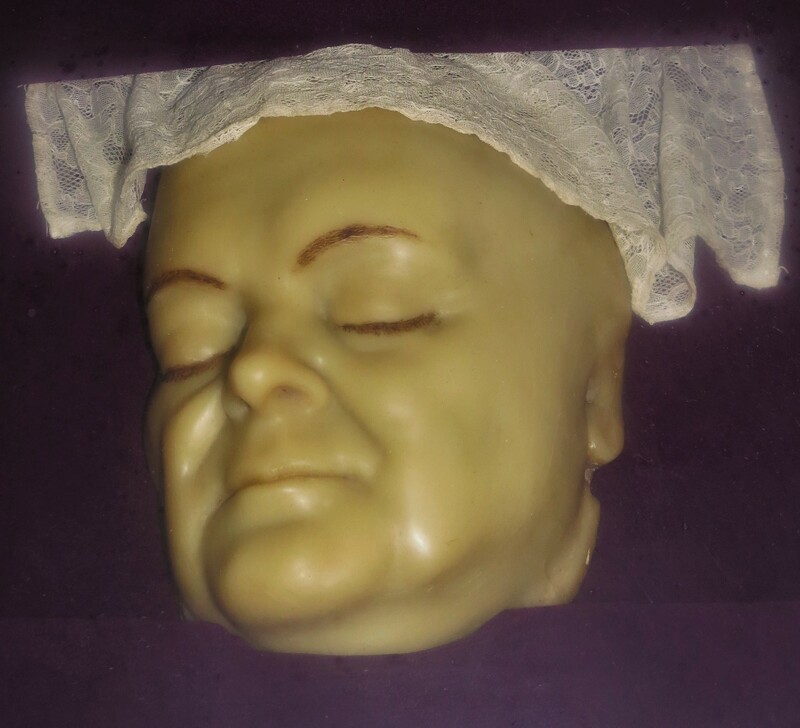 Reference: P.J. Breen and Niall E. McKeith, A catalogue of ecclesiastical items spanning two centuries of the history of the College, St. Patrick’s College, Maynooth, 1995. 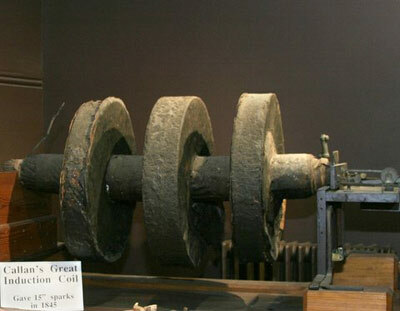 One particular section of the Museum is devoted to the instruments of Nicholas Callan, inventor of the induction coil. Many of the electro-magnets, electric motors and batteries which he used in his research are on display in the Museum. Professor Callan’s laboratory was originally housed in the basement of Stoyte House but was later relocated to the Museum where it serves as a wonderful tribute to the Maynooth Professor. American inventor Thomas Edison enjoyed success in 1877 following his invention of the phonograph, a device to record and reproduce sound. 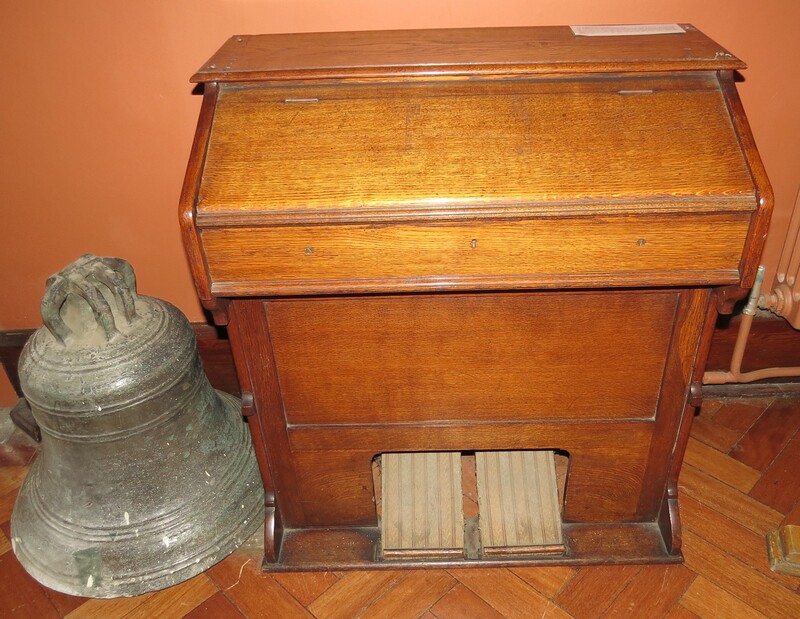 The ‘Standard Phonograph’ housed in the Museum features a black enamelled plate and gold decoration. 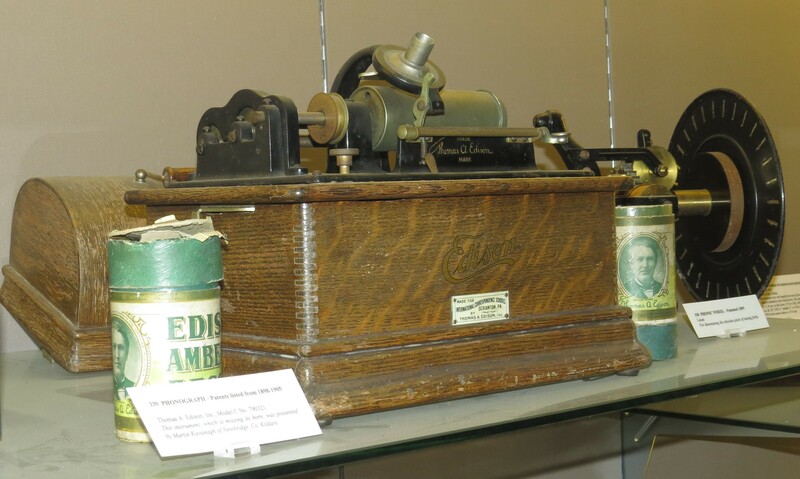 The phonograph is housed in a wooden case with an arched lid. A silver-metal cylinder is mounted above. Unfortunately, the acoustic horn (which amplified the sound) is missing from this item. Reference: Charles Mollan and John Upton, The scientific apparatus of Nicholas Callan and other historic instruments, St. Patrick’s College, Maynooth, 1994. This 19th century harmonium was made by E.F. Walcker & Cie, Ludwigsburg and is tuned to the diatonic scale, which has major and minor semitones. It was once housed in St. Joseph’s Oratory at St. Patrick’s College, Maynooth where it was used in liturgies.